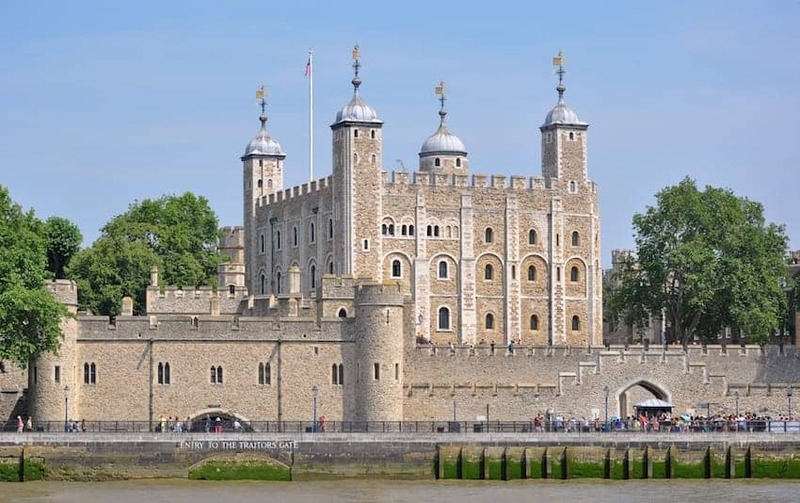 The Tower of London is a historic castle located on the River Thames founded just after the Norman Conquest of 1066. The White Tower gives the entire castle its name. In fact there are several buildings set within two concentric rings of defensive walls and a moat. It was used as a prison from 1100 until 1952 although that was not its primary purpose. It was a residential royal palace early in its history and since then has been used as an armoury, a treasury, a menagerie, the home of the Royal Mint, a public records office, and home of the Crown Jewels of England. Reputedly it is haunted.